APPLICANTS are sought for the City of Garden Grove’s six commissions. Applications for candidates to serve as non-compensated commissioners in Garden Grove are now being bought. Applicants must be Garden Grove residents and registered voters, be able to serve a two-year term of office, and be available to attend regularly scheduled meetings. Commissioners serve as advisors to the city council, providing recommendations that become part of the city’s decision-making process. Applications must be submitted by Wednesday, Jan. 9, 2019, by 5:30 p.m., and may be submitted online at ggcity.org/form/commissions-application. Applicants may also visit the city clerk’s Office, located on the second floor of Garden Grove City Hall, at 11222 Acacia Parkway, or call (714) 741-5040. Commissioner appointments are scheduled to take place at the Jan. 22, 2019 regular City Council meeting. Administrative Board of Appeals (five members)– Conducts hearings, on an on-call basis, on the suitability of building and construction materials; interprets building codes and ordinances. Neighborhood Improvement and Conservation Commission (seven members)– Recommends programs to improve and preserve neighborhoods through zoning enforcement, housing rehabilitation, street improvement, Community Development Block Grant, and other programs. 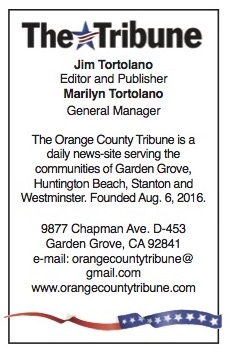 Downtown Commission (seven members)– Oversees Historic Main Street Garden Grove area. Six commissioners must own or lease property on Main Street; the seventh member is appointed at-large. Parks, Recreation and Arts Commission (seven members)– Reviews and makes recommendations on the status of city parks and recreation programs, capital improvement plans, propose amendments to the General Plan Parks and Recreation Element, and existing and potential city arts programs. Planning Commission (seven members)– Studies proposed development projects that may impact community’s growth and environment. Traffic Commission (seven members)– Reviews requests for traffic safety devices, investigates unsafe and/or malfunctioning traffic conditions, conducts public hearings, and assists in transportation planning.